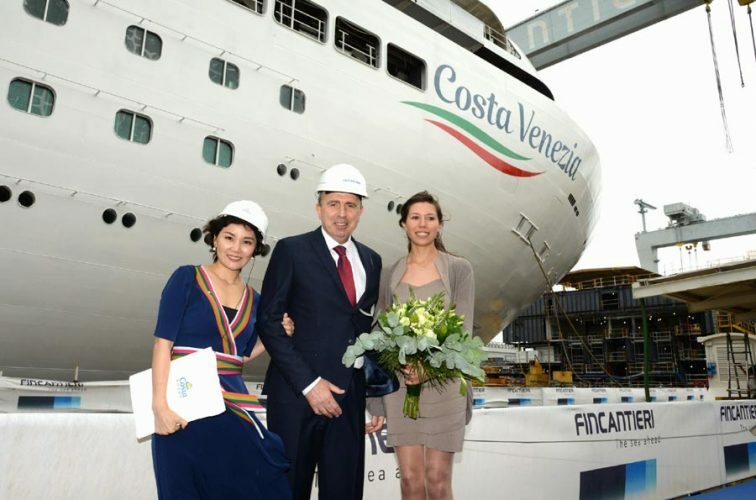 Costa Cruises celebrates the float out of Costa Venezia at the Fincantieri shipyard in Italy. The ship is the first to be purpose-built for the Chinese market and will be the largest in the fleet to date. 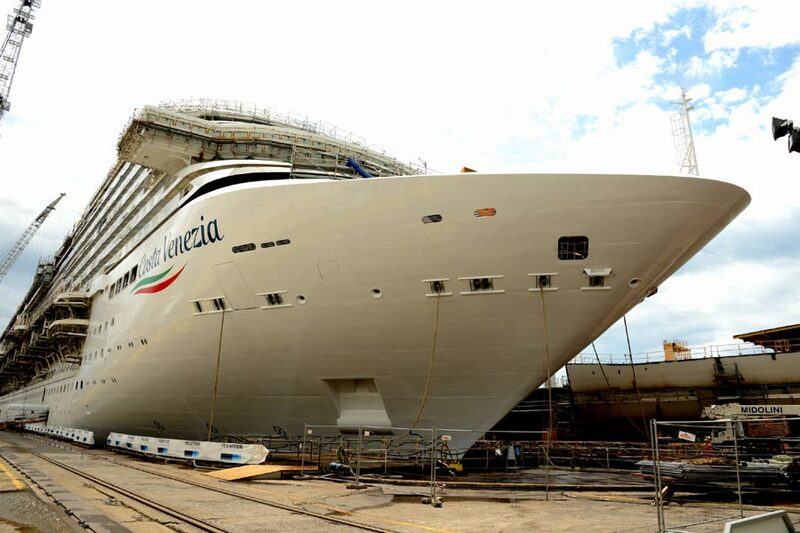 Costa Venezia was floated out at the Fincantieri Monfalcone shipyard in Italy today which is a major construction milestone. The Italian based cruise line and shipyard celebrated the ship floating out on water for the very first time. It is the first ever Costa cruise ship being purpose-built for the Chinese market which specific features experiences for Chinese guests. Expected to set sail in March 2019, Costa Venezia will arrive in China next May after a 53-day voyage following in the footsteps of Marco Polo. For the inaugural cruise, Costa Venezia will depart from Trieste in Italy and make its way through the Mediterranean, the Middle East, and southeast and east Asia before arriving at its final home of Shanghai on May 18, 2019. Following this once-in-a-lifetime journey, Costa Venezia will continue treating passengers to unique cruises with an Italian twist throughout east Asia. When it arrives in China in 2019, Costa Venezia will mark the latest step in a long list of innovations from Costa Cruises, the first international cruise brand to begin serving the local Chinese market in 2006. At a length of 323 meters and measuring 135,500 gross tons with a capacity of 5,260 guests, Costa Venezia will be Costa’s largest ship operating homeport cruises from China. It will also be followed by the launch of its sister ship in 2020, which began steel cutting by Fincantieri in Italy earlier this year.